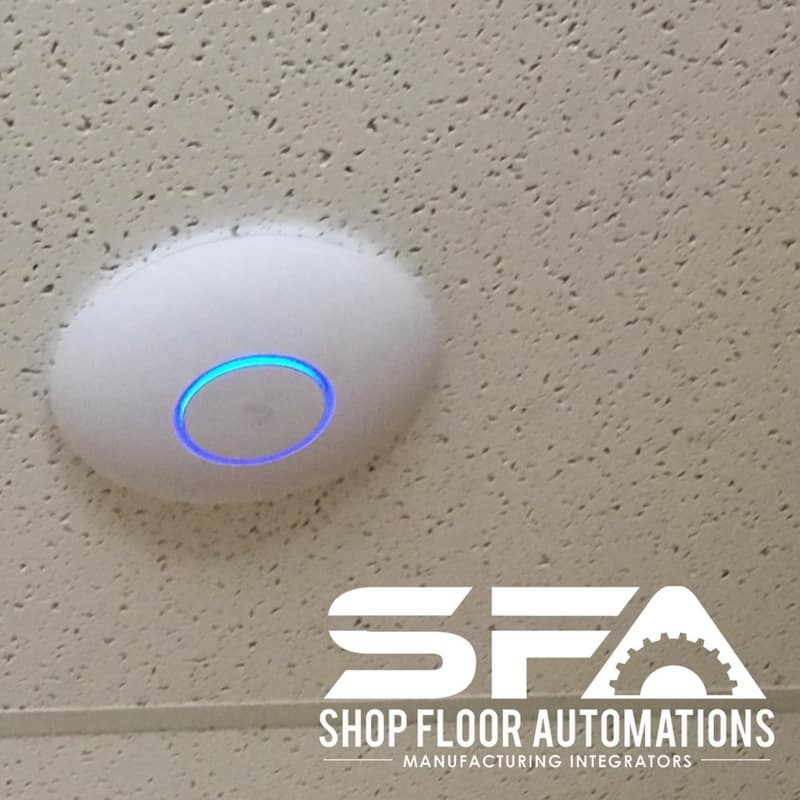 A Wireless Access Point (WAP) can be provided by Shop Floor Automations. The product can also be integrated with clients existing Access Points. Contact SFA for recommendations. 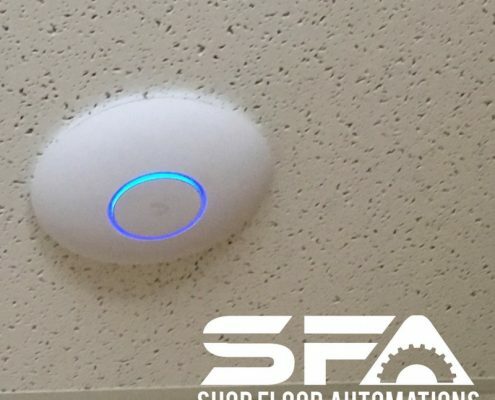 One or more with reaches of up to 600 feet of WiFi signal can cover all areas of your shop. You can start with one and expand to 50+ units to cover your complete building or other areas of the plant. 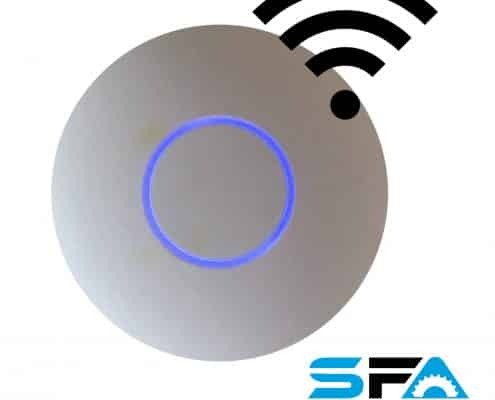 These access points are fully supported and compatible with all wireless sold by us. 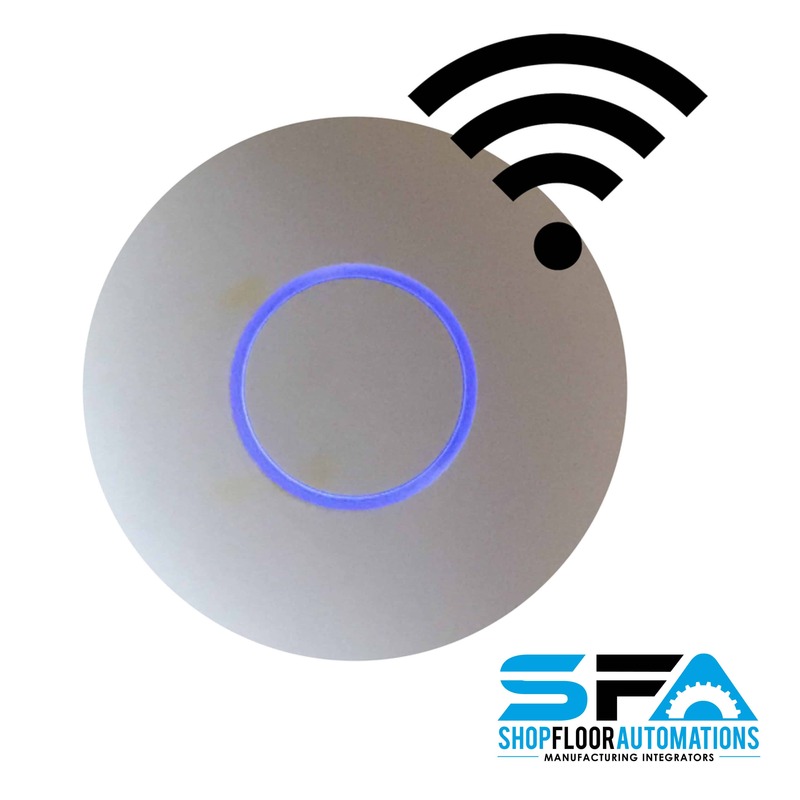 Customers usually purchase the WAP in order to make their shop floors wireless, which can be achieved by also purchasing the Wireless Connect. Typically, we recommend the Wireless Connect unit be mounted inside the CNC machine cabinet and linked to an external antenna mounted on the top of the machine (like a CB Antenna). The unit can be powered by the 110v power supply, or wired directly into the CNC Machine 9-30 volt power source. Power can also be obtained from the RS232 DB25 port on the Fanuc CNC controller, with an optional cable kit. If you already have WAPs in your plant supplied by your IT department, we can discuss how the wireless CNC unit on the machine would be in integrated with your existing Access Points. Of course, we want to be your sole supplier for all hardware and software and be responsible for your complete DNC system. Simply put, it’s easy and affordable it is to have your shop floor go wireless! Costs of stringing cable will vanish. Machines with overhead cranes, traveling gantries, or those simply too far to cable are efficiently & reliably networked. Want to move your CNC machines? No need to change cables or reconfigure software. Best of all, nearly any CNC machine can be connected using wireless! Any PC with a WiFi compliant network card on this wireless network can be configured to access the wider PC network.